The Scottish Football season kicked off on August 10th 1935 and to one licence holder the first day of the season had many memories-Patsy Gallacher, of the International Bar at Clydebank. I interviewed Patsy in the long airy bar, round which hung brightly painted footballs, historic souvenirs of historic football matches. The walls were covered with photographs of famous games and famous teams and the one and only Patsy featured in many of them. A little older, with a touch of grey hair showing on top, Patsy is still the same man whose football thrilled thousands, whose swarves made strong men clutch each other with joy and the other strong men gnash their teeth in anger as he dodged defenders with twinkling footwork. Patsy Gallacher played football for the Holy Redeemer School as centre-foreward, and it seemed a natural step for him after class days were over to join Clydebank Juniors, a strong going combination. But he did not stay there very long. 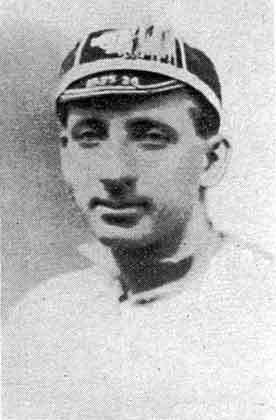 He played at inside-right for the local eleven for five months, two months in his first season (the last of the season) and when the next year rolled, Patsy had on the Clydebank colours for three other months before Celtic spotted the talent of the young foreward and he joined their pay-roll. That was in 1911 and he gained a cup medal with the Parkhead combination in his first year with them. For fifteen years he slipped on a white and green jersey and during those halcyon days he secured every honour that can come to a footballer. With medals for every competition, Scottish Cup, Glasgow and Charity trophies, League and Association Cups, Patsy Gallacher’s record was so well-known that I need not give it in detail. Wherever football was spoken (or drunk) Gallacher’s name, his wizardry and ball control was and still is one of the main topics of the conversation. It took a drawer to hold his medals and caps, but a huge sideboard was required to hold the prizes gained in five-a-side prizes, for Gallacher was an expert at what has become known as the “abbreviated” game, and in view of the recent discussions on this type of football, it is of more than passing interest to note, that during Patsy’s association with Celtic, they scooped the pool of this form of prize for eight or nine years in succession. When he served his connection with Celtic after fifteen years of more than faithful service, he went to Falkirk and in 1932, only three years ago, after more than twenty-two years in the game, he retired. Since then he has come out of retirement several times to take part in charity games. His retirement is not a leisurely one, but a busy one, for in 1920 he entered the licensed trade with premises at Renfrew. He took over at Clydebank in 1925 and two years later decided to concentrate in the Clydebank burgh and disposed of his Renfrew pub. He has carried on at Clydebank since that time. Compared with his former sphere, Patsy can only think of one comparison-like night is today. In one, he was out all the time, now he is in all the time, except on a Saturday, when it Celtic are at home, he goes to Parkhead. If they are playing away and nothing else attracts him, the juniors get his shilling and his criticism, for Patsy is still critical. When his old friends come to visit him they talk over the days that used to be. And what does Patsy tell them? That the juniors are as good as ever they were, with an improvement showing last year. The seniors, not so good. Patsy thinks that there is not the same positional play as of old. Players seem to be all out for themselves instead of playing as a team. To that Patsy describes the reason for the falling off in the standard of play. But football is in his blood, and while he can still move about you can be sure that Patsy Gallacher will be one of the sporting games most fervid supporters. He has spent a lifetime at the game and he knows what he is talking about. Patrick Gallcher is one of the greatest sporting personalities of the trade.